For the next few weeks I am doing follow-up Skype sessions with some of the schools I visited in Northland. 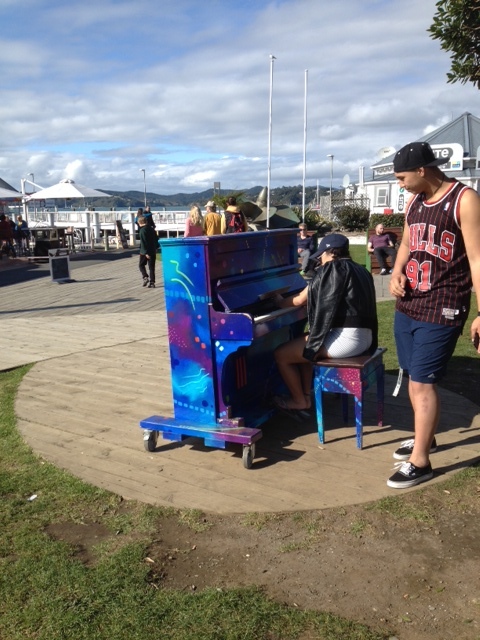 I have done this before with Ngaio School in Wellington but this is on a bigger scale. Each school has come up with something different. All will be workshops but ranging from 16 to 75 in a session! Yesterday I kicked it off with a writing workshop at Matarau School (just out of Whangarei). I was over the moon with how well it went. The only technical hitch was when the children spoke, it sounded like they were in the ocean (or a swimming pool) and I needed a dolphin interpreter (the teacher). But that worked! Every single student hooked into their own private poetry zone with supreme focus. Once they were into the process, one by one they, held their drafts up to the camera, and I was able to give feedback and mini challenges as I do in a classroom. The poems were so good. I can’t wait to share at the end of the Skype season. 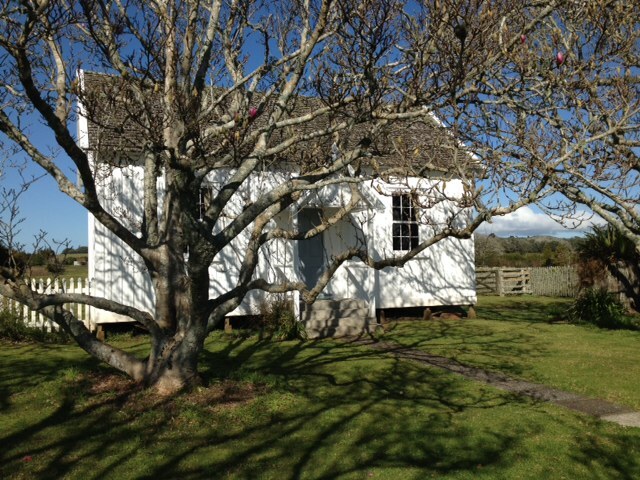 This is just amazing to me as it seems with support from people like The NZ Book Council (and on this occasion UNESCO) I can now work in rural out-of-the-way schools that hardly ever get writer visits. 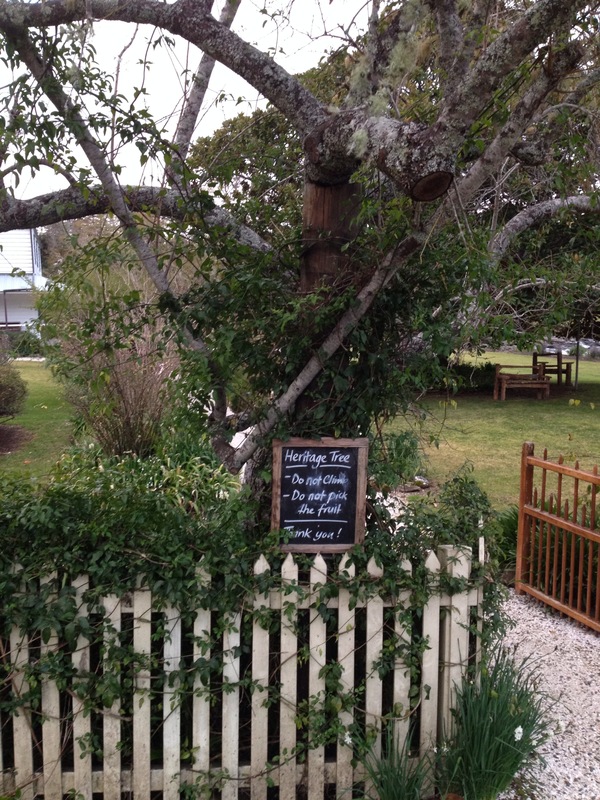 This entry was posted in NZ Author, NZ children's book, NZ Children's poetry, Poetry and tagged matarau school, northland tour, Poetry skype sessions on July 29, 2015 by Paula Green. I have always wanted to post a poem in Te Reo and today I can do it which is perfect timing. 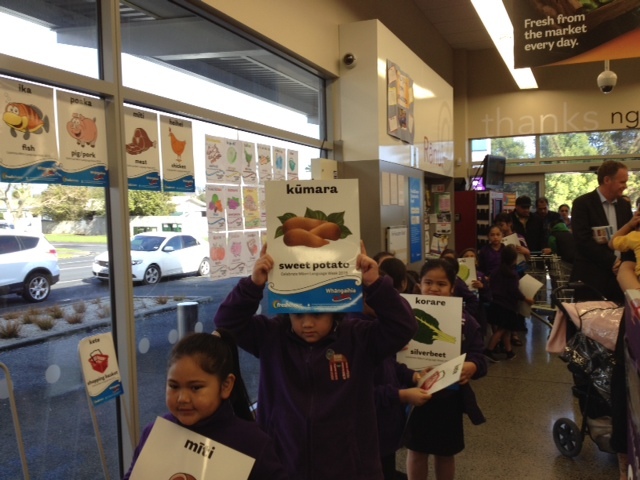 This morning I was in my local supermarket and children from a nearby school were giving all the shoppers a lesson in Te Reo. We had to say the names of things we buy as they held up the posters. 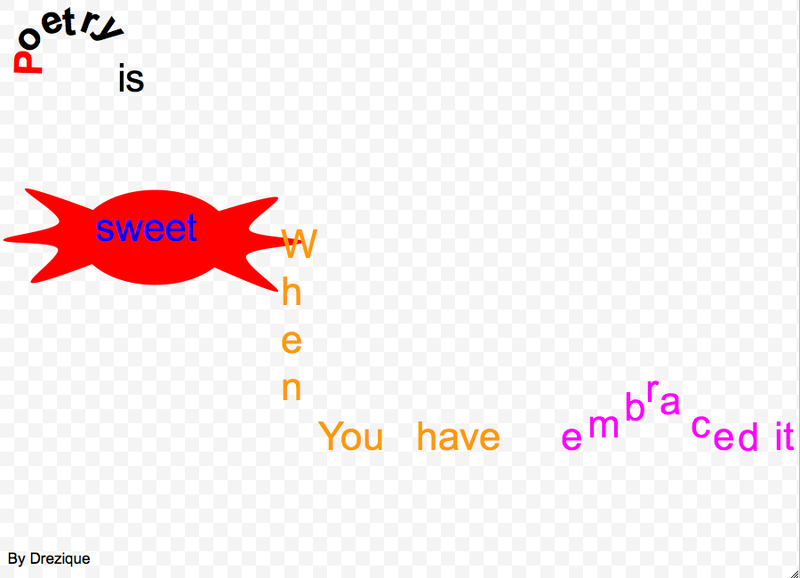 Children showed us to pronounce words, then we copied. The supermarket handed out scrumptious muffins and scones. Wow! When I visited the very lovely Mania View School on my tour, the Te Reo class recited this poem they had written and then sang a waiata. I felt very welcomed by these gifts. Thank you. The gift of song is very precious. O te Iwi Maori e Matariki e! This entry was posted in NZ Author, NZ Children's poetry, Poetry and tagged mania view school, Matariki, northland tour on July 28, 2015 by Paula Green. This was the first school I visited on my tour and even though the poetry popped and crackled in the workshops (WOW! three workshops with about 75 children in each), I only posted one by Liam. I went back to my motel and fell asleep! This entry was posted in NZ Author, NZ children's book, NZ Children's poetry, Poetry and tagged northland tour, onerahi school on July 27, 2015 by Paula Green. Northland Poems: Kerikeri High school poems with great wintry moods! I was so tired by the end of the week I didn’t get to post these. Visiting two groups of Year 7 students at Kerikeri High School was a wonderful experience. The sound of pencils scratching on the paper as the students got right into their poetry zones was spectacular. It deserves a poem. A big thank you to the warm and firendly teachers and librarians. And for the delicious lunch! Here are a few poems that struck me from this visit! Love the detail in these and the made-up words. 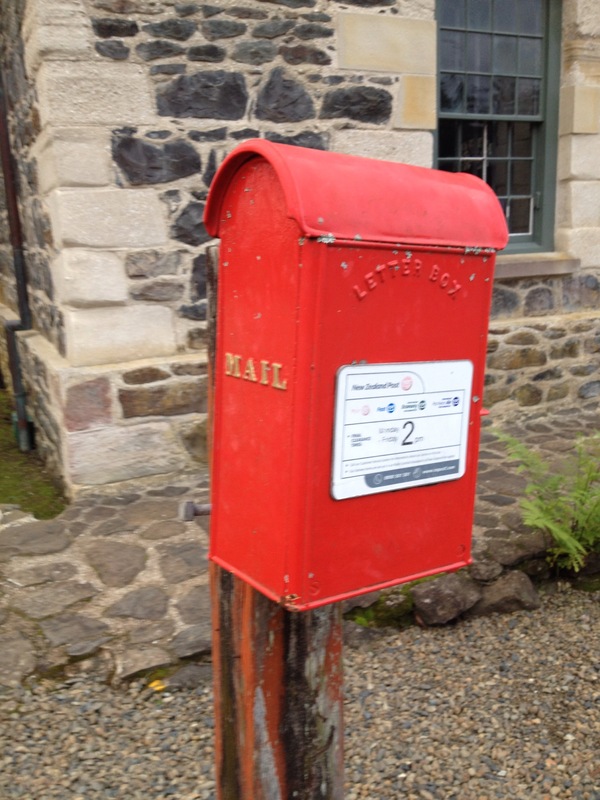 This entry was posted in NZ Author, NZ children's book, NZ Children's poetry, Poetry, The Letterbox cat and tagged Kerikeri High School, northland tour on July 27, 2015 by Paula Green. 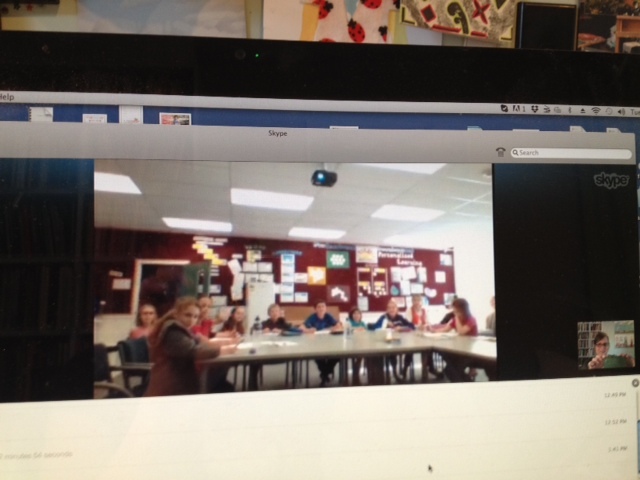 My Northland Tour is not yet over as I am doing a few weeks of Skype sessions with the schools which will be fun. But on Saturday I spent the WHOLE day driving home as I stopped at LOTS of places. I went to the market in Kerikeri and LOADED up with citrus fruit, veggies, bread and cheese. I went inside The Stone Store and bought some heritage seeds. 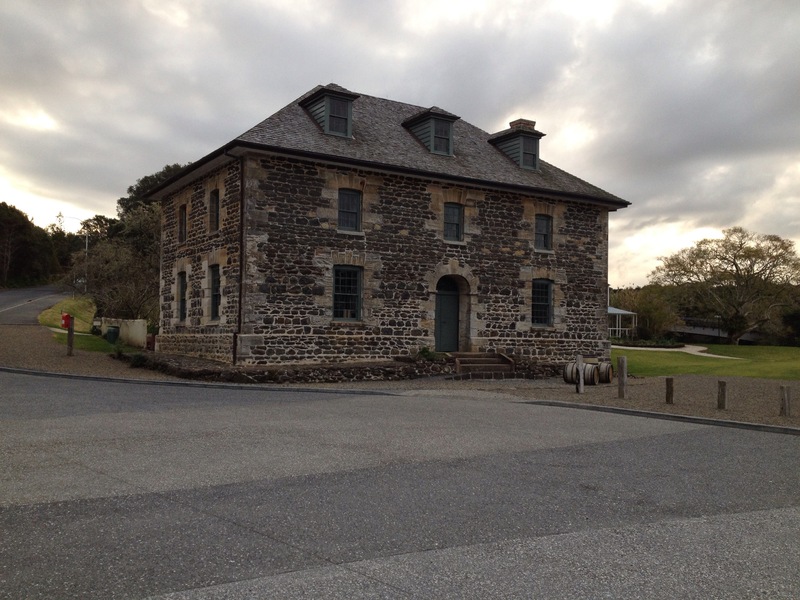 I drove out and went aside the Mission House at Waimate. 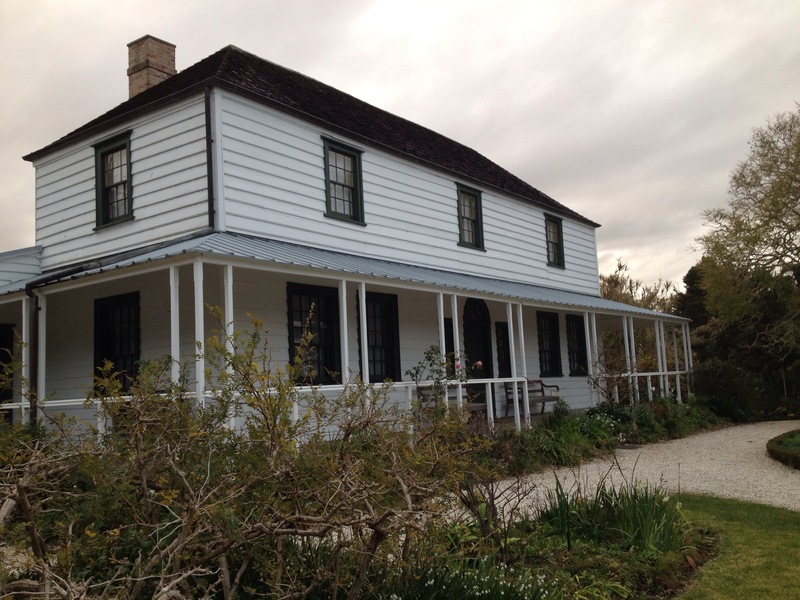 The second oldest house in New Zealand. Looking at the old beds and the old walls and the old floor I could just feel the history, hear the voices of the past. Important things happened in this house that helped shape the country we are today. 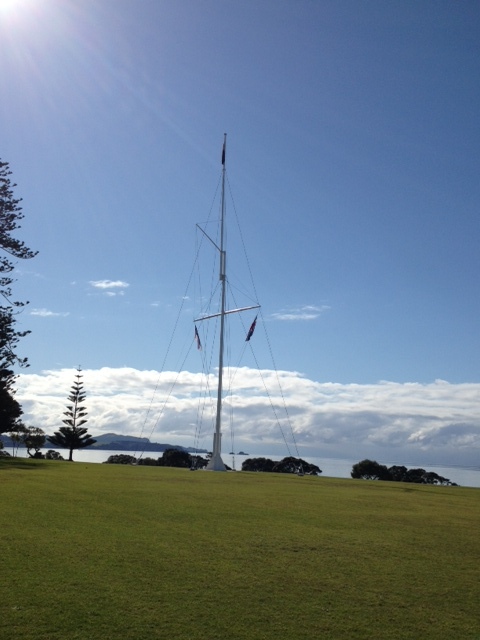 I went to Waitangi (I have been here so often because I love it) and stood on the big wide stretch of green grass and looked out at the big wide stretch of sea. The tall flag towering. The tourists huddling. Again it felt like I stepped back into the past in a place where very important things happened. 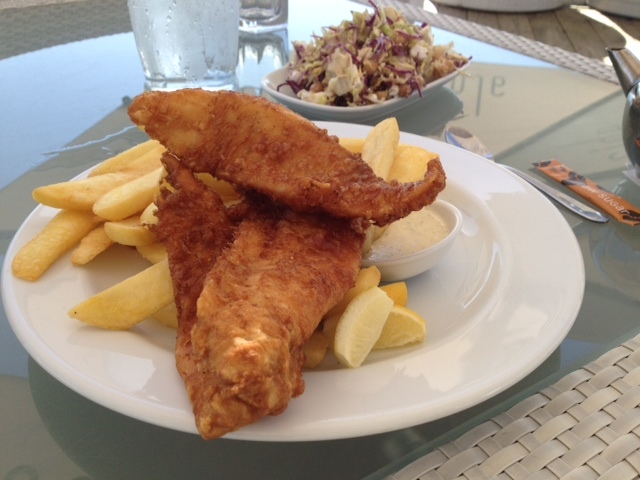 I ate fish and chips at a cafe at Paihia that jutted out into the water. I NEVER eat fish and chips but suddenly I wanted some and they were delicious. Then I drove home and it was good to step into my warm and cosy place and see the two cats and the two dogs and Michael. It felt strange that our daughters weren’t there but I felt so full to the brim of good things that happened on my tour, it made up for it, just a little bit. This entry was posted in NZ Author, NZ children's book, NZ Children's poetry, Poetry and tagged northland tour on July 27, 2015 by Paula Green. 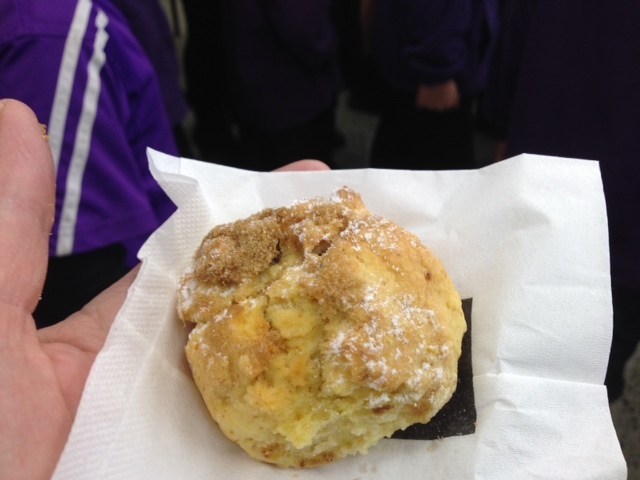 When I visited Ohaeawai School, the Year 6 class had two treats for me. A boy stood up and recited a poem he had written at home about the mountains! Amazing. And another boy, Drezique, showed me this concrete poem he had written on his gadget because he knew I was coming that day. Amazing! I totally agree with his poem. Thank you. I can post Drezique’s poem. This entry was posted in NZ Author, NZ children's book, NZ Children's poetry, Poetry, The Letterbox cat and tagged northland tour, ohaeawai school on July 27, 2015 by Paula Green. Well I have finished my tour sessions but I still have a few weeks of follow up Skype sessions. I had an utterly fabulous week so a big thank you to The NZ Book Council, UNESCO (who sponsored it), The National Library, the schools, teachers and pupils. 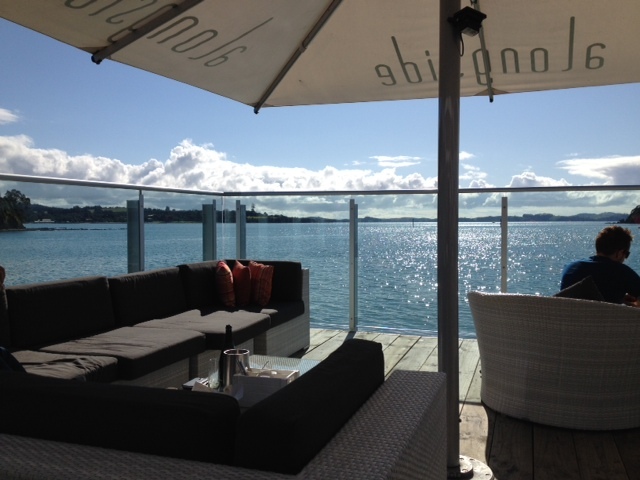 I knew I would be too tired to drive back to Auckland today and I was so right. I went back to my very lovely motel and fell asleep. Then I headed down to the Stone Store to go for a walk. It was dusk so I was walking in the half light. Everything was shut yet it felt like I was walking in history. Walking back in time to when Maori and Pakeha first started living together. In the half light. I kept imaging all the other feet before me. The other voices. In the half light of dusk. Then two dogs burst out of a car and dashed and crashed and splashed into the bitter cold estuary. With the geese and the ducks and the pukeko. 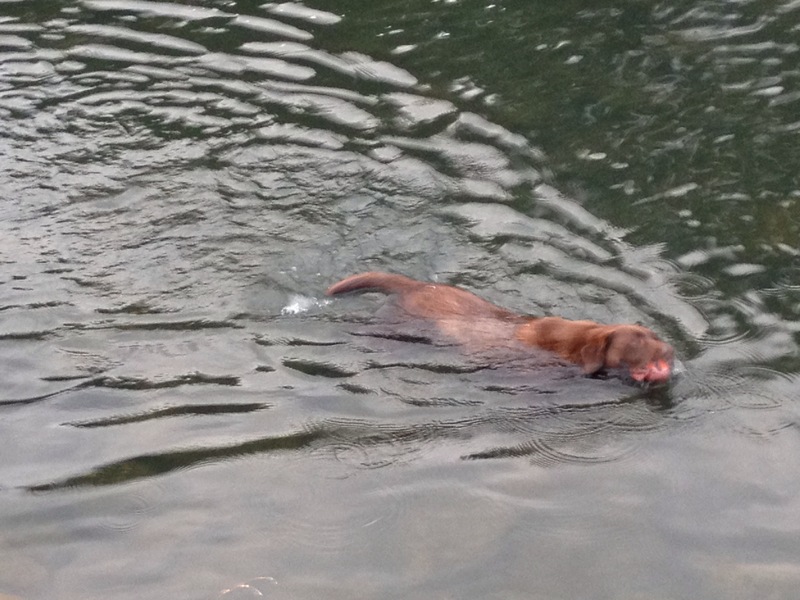 I waited for feathers to fly and screeching and scratching but the dogs swam off into the cold. 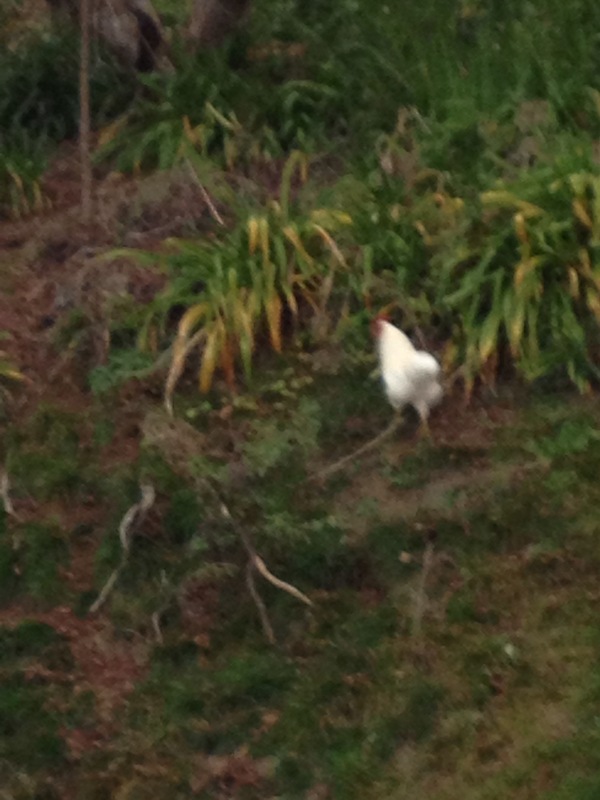 A hen followed me back to my car. Now to celebrate the end of my tour, all the fabulous words in the air and on the page, I am eating dinner at Wharepuke. Yum. I am going to have three courses. 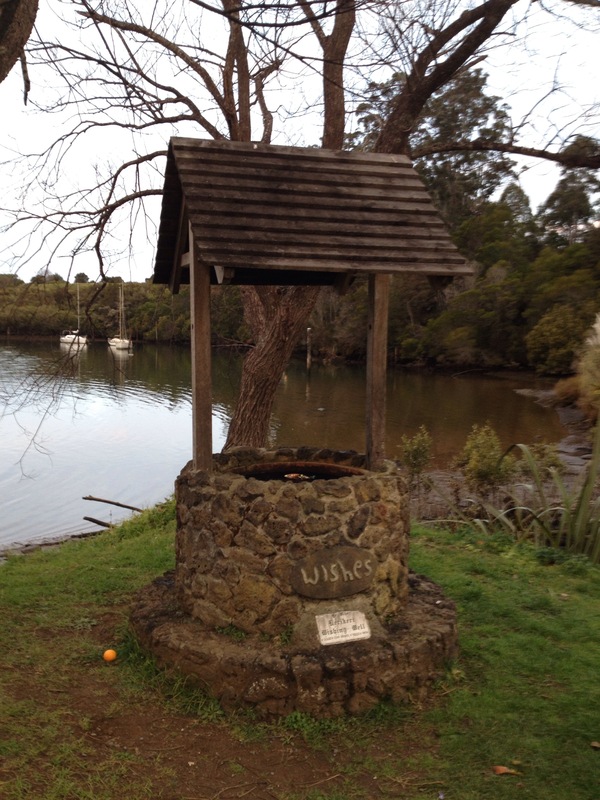 This entry was posted in NZ Author, NZ children's book, NZ Children's poetry, Poetry, The Letterbox cat and tagged northland tour on July 24, 2015 by Paula Green.